Thought I would make myself an account on here since I make regular visits. 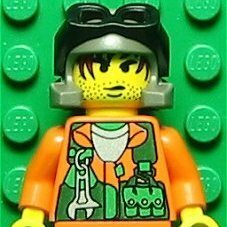 I discovered this site by accident when I was trying to figure out a way to play LEGO Rock Raiders on a modern computer. I grew up playing the old LEGO classic PC games, back when LEGO had original ideas! Anyways, glad to see there are like minded people out there who still enjoy playing the old Lego games! I really am looking forward to being a part of this site. Thank you for all of the great stuff on here!